Let’s talk about Maltese cuisine! My Nanna and mother came over on Sunday and I put them to WORK. 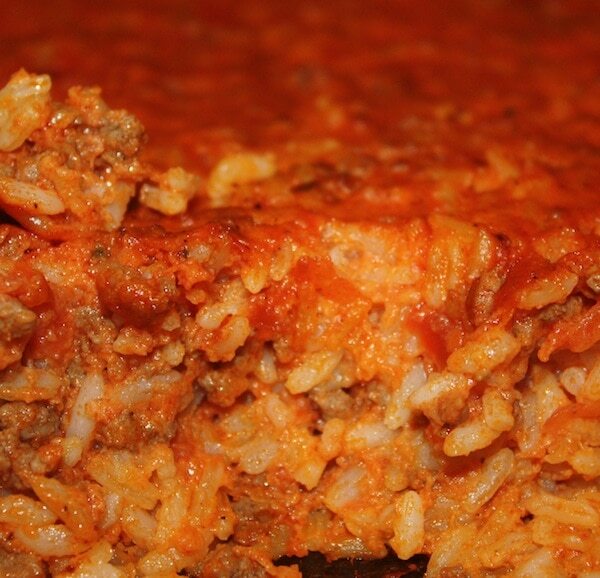 I already posted about the Torta – a traditional meat pie – and wanted to get one of my other favorite dishes on LATB, baked rice. YUM!!! 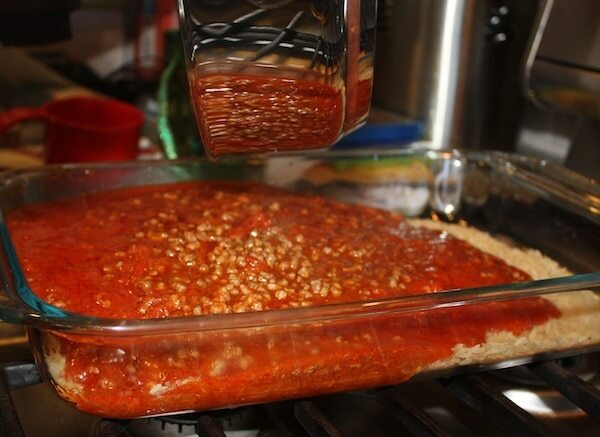 Brown about a pound of meat and then add one jar of marinara sauce. Traditionally, my grandmother would make her own sauce, but we didn’t have enough time before lunch – so I opened up a jar and it was JUST FINE. You also want to drain out some of the oil from the meat. My Nanna doesn’t do this, but I am telling you to go ahead and drain the meat before you add the sauce. Pour 2 cups of uncooked rice into your pan. 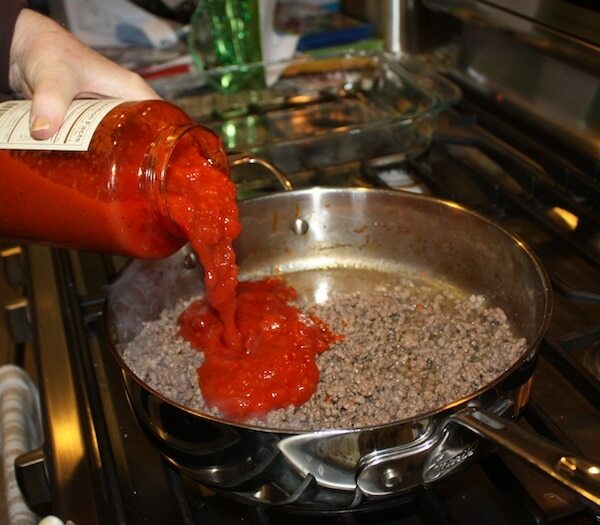 Then pour the meat sauce over the rice. Add salt and pepper plus a 1/2 teaspoon of curry. Scramble two eggs and pour into mixture. 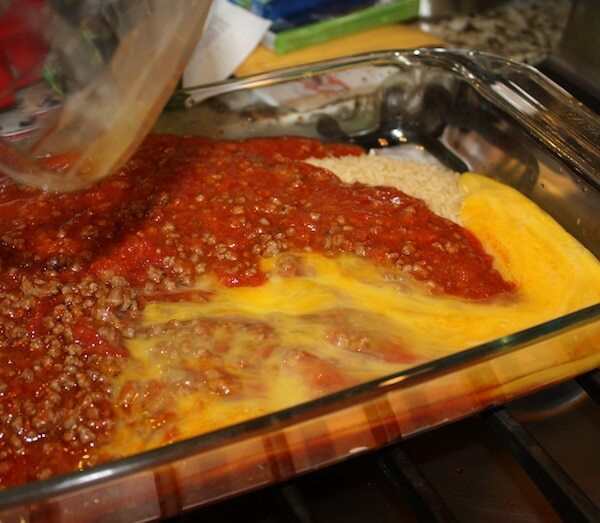 Then add 1 cup of grated cheese and 2 cups of water. Stir for a few minutes making sure it all blends. Cook for one hour uncovered. SO SO GOOD!!!! For more of my Inside the Kitchen recipes, click here. This looks so good. Did you serve it with anything else? Omg, that looks awesome! I have been craving rice something fierce! Thanks for sharing it! Looks delicious and I will be making this!!! i just made this for dinner for my family. it was delicious with a little watercress salad on the side. thank you very much!! scramble the eggs or just mix the eggs? mix the eggs – don’t cook them. What kind of cheese do you use? Parmesan? This looks sooooo good btw. this looks so good. what would it be like if i omitted the eggs? would it ruin the whole thing? Thank you for your response. 32oz it is! What kind of rice is used? 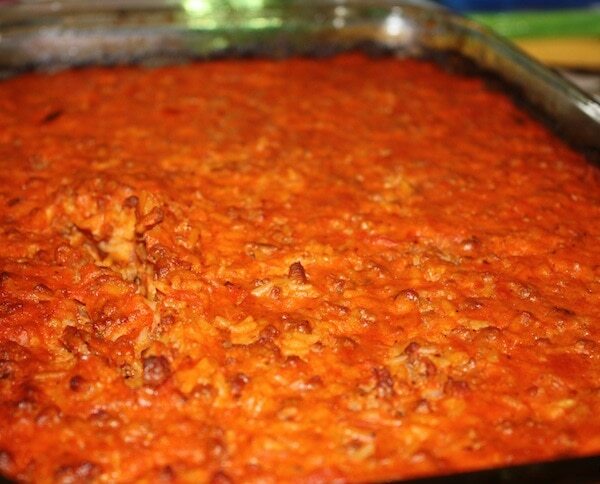 I was so excited to find your recipe for baked Maltese Rice! I am expecting some SingSnap friends (that is a site where we all sing and we meet people from around the world) One friend here is visiting another in Sweden, they then are flying back here and that friend will spend 6 weeks here. We have a friend in San Bruno who is also one of our singing pals and he is from Malta! So, in celebration of us all getting together for a gathering AND to celebrate our Swedish girl’s birthday, I wanted to find recipes that each would be familiar with. 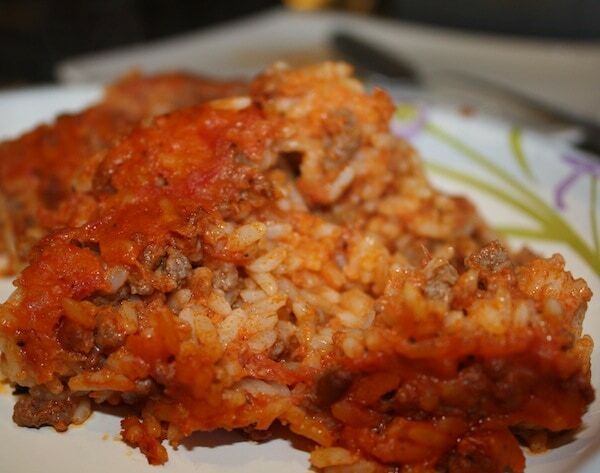 Almost gave up on the baked rice recipe until I saw yours and knew THAT IS THE ONE! I do have one question, though. I know that long grain rice is usually used and small amounts of curry are used but what kind of cheese is used in Malta for cooking. Couldn’t find firm goat cheese at the store yesterday, but would Kraft shredded Parmesan, Romano and Asiago cheese work, or is a moister cheese required. AGAIN: so excited to find your site, your recipes are great! All of them. This looks delicious and I want to make it for my family’s dinner. I was curious; at what temperature you cook your dish at? http://vassallohistory.wordpress.com/brief-history-of-food-in-malta/maltese-traditional-recipes/ it is full of wonderful Maltese recipes. Wonderful dish! My grandmother and mom used to make this all the time. So happy to have found your blog! Happy to be half Maltese as well!